August 28th, 2014 | Moving Tips. Accessorial (additional) services – Services, such as packing, appliance servicing, unpacking or stair carries, that you request to be performed (or are necessary because of landlord requirements or other special circumstances). Charges for these services are in addition to the transportation charges. Learn more about Bekins Additional Service. Advanced charges – Charges for services performed by someone other than the movers. A professional, craftsman or other third party may perform these services at your request. The mover pays for these services and adds the charges to your Bill of Lading charges. Agreed delivery date – The agreed delivery date can range from one day to several depending on the weight of your shipment. Your salesperson will discuss the transit times with you prior to registering your shipment with Bekins Traffic Department. Agreed pick-up date – The agreed pick-up date can range from one day to several depending on the weight of your shipment. Your salesperson will discuss the transit times with you prior to registering your shipment with Bekins Traffic Department. American Moving & Storage Association (AMSA) – The trade organization for the moving industry. Auto inventory – A form used when relocating an automobile, motorcycle or boat that lists the vehicle’s miles and condition at both origin and destination. Can also be referred to as motor vehicle inventory. Auxiliary service or Shuttle Service – Use of a smaller vehicle to provide service when the residence is not accessible to the mover’s normal equipment. Shuttle service involves offloading the goods from the original equipment and reloading to a smaller vehicle. Depending on the weight of the shipment, this could involve several trips with the smaller vehicle. The shuttle charge is based on a rate-per-hundred weight. Bingo sheet – A form that allows a van operator or customer to easily check off items as they are delivered. Also called a check-off sheet. Booking agent – The agent who prepares the estimate of cost from the information obtained during a visual survey. The booking agent does not necessarily have to be located at or near the origin. When the booking agent is located at the origin, they will also be the origin agent and perform the visual survey. Bulky article – To ensure safe transportation, some articles included in a shipment (e.g. big screen television, motorcycles, hot tubs, etc.) require extra handling and/or blocking. There is an extra charge for such items. Carrier – The moving company holding the operating authority required to transport household goods. Cash on Delivery (COD) – Transportation for an individual shipper for which payment is required at the time of delivery at the destination residence (or warehouse). Certified scale – Any scale designed for weighing motor vehicles, including trailers or semitrailers not attached to a tractor, and certified by an authorized scale inspector and licensing authority. A certified scale may also be a platform or warehouse type scale that is properly inspected and certified. Commercial shipper – Any person who is named as the consignor or consignee in a Bill of Lading contract who is not the owner of the goods being transported but who assumes the responsibility for payment of the transportation and other tariff charges for the account of the beneficial owner of the goods. The beneficial owner of the goods is normally an employee of the consignor and/or consignee. Consignor – The person at origin who arranges for the transportation of the shipment. Crating – Refers to the process of building a custom wood crate for the purpose of protecting certain items during transport. Cube – A measurement of the capacity or cubic space of a truck or container. The industry average of is seven pounds per cubic foot. Cube sheet – A document used to determine the cubic feet that furniture, appliances, cartons and miscellaneous articles occupy in the van. By converting the cubic feet into pounds, an estimated weight is acquired that is used in calculating the estimated cost for a move. Also referred to as a Table of Measurements. CWT – An abbreviation for “per 100 pounds of specified weight.” Per-hundred weight. Department of Transportation (DOT) – The federal agency which governs the interstate transportation industry, including movers of household goods. Destination agent – Affiliated agent in the city to which the customer is moving. They are required to furnish storage at destination, unpacking and arranges for appliance service, if requested. Disassembled by owner (DBO) – Items are disassembled by owner rather than by the moving company. Bekins is not responsible for the reassembly of these items. Dispatcher – Assumes the task of communicating the route of a shipment to van operators and agents, making sure that instructions are carried out accordingly. Estimate: Binding – This is a written agreement made in advance with the moving company. It guarantees the total cost of the move based upon the quantities and services shown on the estimate. 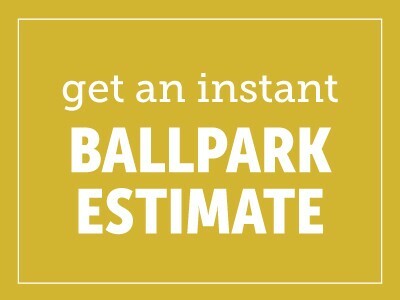 Learn more about estimates. Estimate: Non-Binding – This is an approximation of the cost by the moving company, based on the estimated weight of the shipment and the accessorial services requested. A non-binding estimate is not binding on the mover. The final charges will be based upon the actual weight of your shipment, the services provided and the tariff provisions in effect. Learn more about estimates. Estimated Weight – An approximate weight of a shipment determined by multiplying the estimated cubes by seven pounds. Extra delivery – A portion of a shipment unloaded at a location other than the destination address indicated on the Bill of Lading. Also referred to as an extra stop. Extra pick up – A portion of a shipment loaded at a location other than the origin address indicated on the Bill of Lading. Also referred to as an extra stop. Federal Motor Carrier Safety Administration (FMCSA) – Established within the Department of Transportation to regulate the safe operation requirements for commercial vehicle drivers, carriers, vehicles and vehicle equipment. Fuel surcharge – The moving company’s tariff provides for a percentage adjustment to the transportation charge (and SIT Pickup and Delivery) to aid in recovery of the increased cost of fuel. The surcharge, which can change twice monthly, is based upon the national average cost of diesel, as reported by the U.S. Department of Energy. Gross weight – The weight of the truck after a shipment has been loaded. Also referred to as the heavy weight. Hauling agent – The agent who owns the van assigned by the van line to transport your household goods from origin to destination. Helper – A pe rson hired by the van operator or agent to assist in the loading and unloading of goods. Bekins requires all helper labor be certified. High value article – Items included in a shipment that are valued at more than $100 per pound. These items should be disclosed with the mover to ensure they are protected accordingly. Also referred to as items of extraordinary value. Household goods (HHG) – Personal goods or property used in a home. Household goods descriptive inventory – The detailed descriptive list of your household goods showing the number and condition of each item. Also referred to as an inventory. Individual shipper – The individual requesting movement of a shipment and paying the transportation charges. Interstate move – The relocation of goods in the United States from a place in one state to a place in a different state. Intrastate move – The relocation of goods within one state that never crosses state lines or includes a segment outside of that same state. Intrastate moves are NOT regulated by the Federal Motor Carrier Safety Administration. Inventory – The detailed descriptive list of your household goods showing the number and condition of each item. Also referred to as a household goods descriptive inventory. Items of extraordinary value – Items included in a shipment that are valued at more than $100 per pound. These items should be disclosed with the mover to ensure they are protected accordingly. Also referred to as high value article. Learn more about replacement value protection. Leave over – When articles to be shipped are left behind due to insufficient space on the primary van. An additional van(s) is then utilized for transportation and delivery. Also referred to as an overflow. Light weight – The weight of a truck before a shipment is loaded, including all essential loading equipment and packing materials. Also referred to as the tare weight. Line haul – The charges for the vehicle transportation portion of your relocation. These charges apply in addition to the accessorial service charges. Load spread – Agreed pick-up dates. Local move – A move within a particular geographical area like a town or district instead of a state or country. Learn more about local moves. Long carry – An added charge for carrying articles excessive distances between the mover’s vehicle and the residence. Charges for these services may be in addition to the line-haul charges. Motor vehicle inventory – A form used when transporting an automobile, motorcycle or boat that lists the vehicle’s miles and condition at both origin and destination. Also referred to as auto inventory. Net weight – The actual weight of a shipment obtained by subtracting the tare weight from the gross weight. Operating authority – The government permit that defines the scope of a carrier’s operation by area and commodity. Order (Bill of Lading) number – The number used to identify and track your shipment. The number appears on all documentation and correspondence. Also referred to as the Registration Number. Origin agent – The agent responsible for performing packing and preparing necessary documentation for the move. Click here to find your local agent. Overflow – When articles to be shipped are left behind due to insufficient space on the primary van. An additional van(s) is then utilized for transportation and delivery. Also referred to as a leave over. Packed by owner (PBO) – Used on the inventory to identify cartons that have been packed by the customer. Learn more about packing. Packing date – A date set aside for packing. It is usually one day prior to loading of the goods. Permanent storage – The warehousing of a shipment for an unspecified duration. Planner – Assumes the task of assigning a hauling agent to load, transport, and unload shipments as they are registered in Bekins Traffic Department. ProMover Program – A certification program created by the American Moving & Storage Association (AMSA). The program gives consumers an easy way to separate reputable, professional movers from rogue movers. ProMovers must meet stringent requirements and agree to comply with the regulations set forth by AMSA as well as the Federal Motor Carrier Safety Administration (FMCSA) and the Surface Transportation Board (STB). Bekins and all its agents are certified ProMovers. Purchase order – A written authorization for billing a relocation to a company. It is sometimes used in place of the Order for Service. Reweigh – When there is doubt about the origin weight of a shipment, a reweigh may be requested by the customer at destination. There is no charge for the reweigh; however, charges are calculated on the new weight. Scale ticket – A voucher providing the weigh scale reading for tare weight and/or gross weight of a van. Shuttle service – Use of a smaller vehicle to provide service when the residence is not accessible to the mover’s normal equipment. Shuttle service involves offloading the goods from the original equipment and reloading to a smaller vehicle. Depending on the weight of the shipment, this could involve several trips with the smaller vehicle. The shuttle charge is based on a rate-per-hundred weight. Also referred to as auxiliary service. Spread dates – The combined dates for the agreed pick up and the agreed delivery. Storage-in-transit (SIT) – Temporary warehouse storage of your shipment pending further transportation. For example, if your new home isn’t quite ready to occupy. You must specifically request SIT service, which may not exceed a total of 90 days of storage, and you will be responsible for the added charges for SIT service as well as the warehouse handling and final delivery charges. Stretch wrap – The material and process used to protect overstuffed furniture (except leather and suede) from damage. Also referred to as shrink wrap. Surface Transportation Board (STB) – The agency within the Department of Transportation responsible for the regulation and monitoring of railroads and rates for the household goods industry. Table of Measurements – A document used to determine the cubic feet that furniture, appliances, cartons and miscellaneous articles occupy in the van. By converting the cubic feet into pounds, an estimated weight is acquired that is used in calculating the estimated cost for a move. Also referred to as a Cube Sheet. Tare weight – The weight of a truck before a shipment is loaded, including all essential loading equipment and packing materials. Also referred to as the light weight. Tariff – The mover’s required, published price, list of rules, regulations, rates and charges for the performance of interstate moving services. Transit time – The time from when your belongings are picked up to when they are delivered to the designated destination. Transportation charge – The cost of a single loading, transporting and unloading of goods comprise the charge. Uncrating – Refers to the process of removing the wooden crating material from items that had been crated. Unpacking – Services required to remove or undo packing of goods at the end of a shipment’s transportation. Learn more about Bekins unpacking services. Valuation – The degree of “worth” of the shipment. The valuation charge compensates the mover for assuming a greater degree of liability than that provided for in the base transportation charges. Learn about Bekins valuation options. Van line – A motor carrier with local agents that coordinates the movement of household goods and special products. Van operator – The individual who oversees the loading, hauling and unloading of your household goods. Visual survey – A visual survey is performed by the origin agent to determine which items are to be moved. The amount of packing required and any special services necessary to properly service your shipment are determined during the survey. A cube sheet is prepared and used to determine the weight. The weight is the basis for the moving cost. All elements of the survey come together to determine an estimated cost for moving your goods. Your Rights and Responsibilities When You Move – A government-required publication given to all COD customers. Learn more about Your Rights and Responsibilities When You Move.